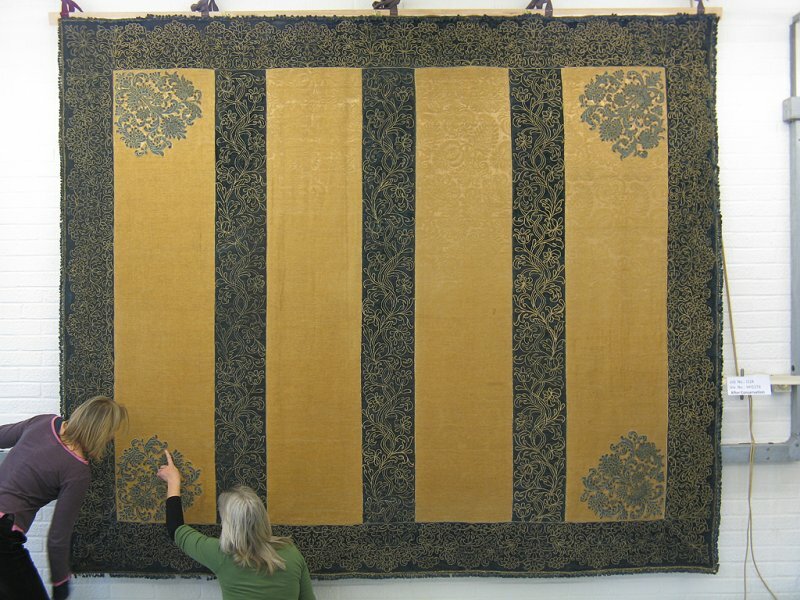 The seventeenth century wallhangings in the Queen’s Antechamber at Ham House, a National Trust property in Richmond, is an ongoing project for us. 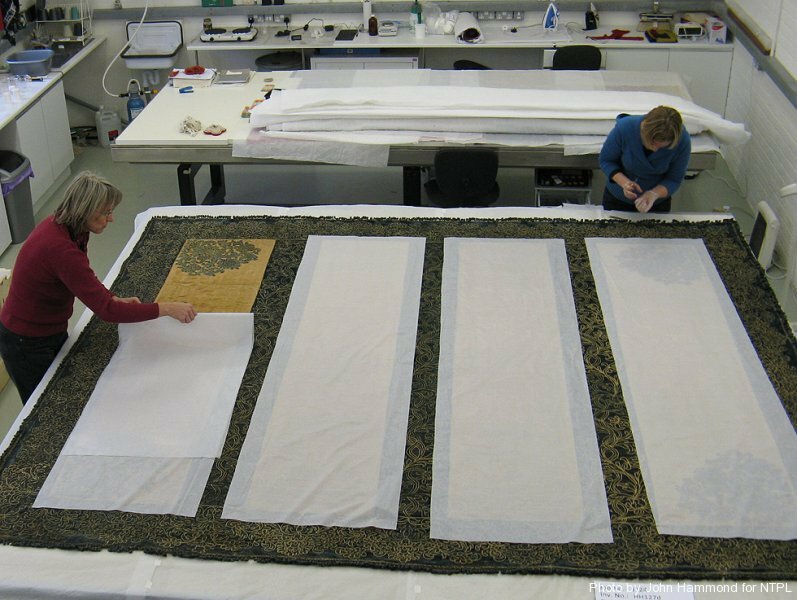 In 2009 we started with the treatment of the West Wall hanging where we discovered that the damask of the panels was a replacement fabric. 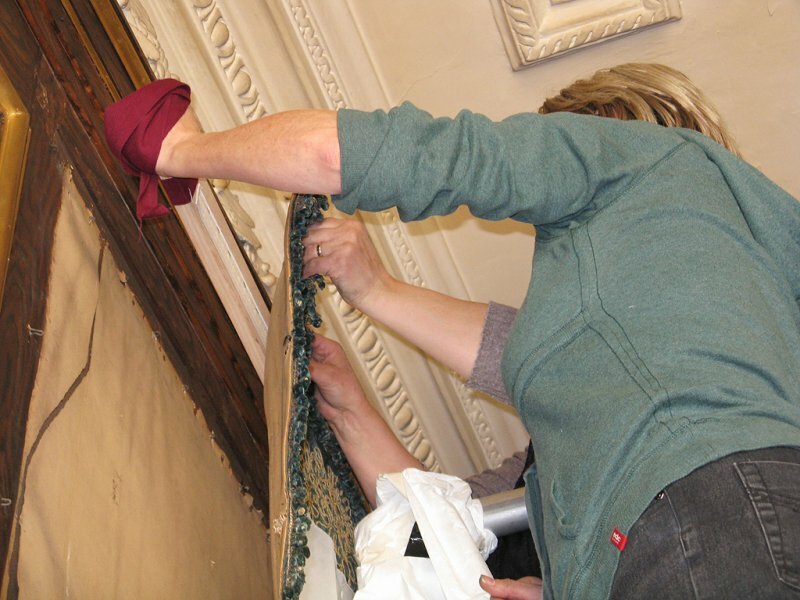 This revelation sparked in-depth research and led to the realisation that these hangings were included in the Restoration of Ham House for the ninth Earl of Dysart in the late nineteenth century. 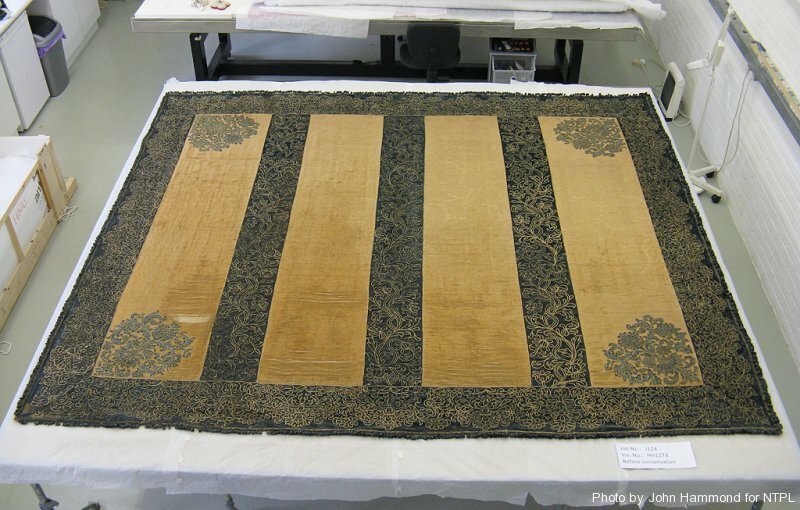 The damask panels were removed for treatment, supported onto a silk fabric dyed to match by laid couched stitching, and finally protected with conservation net before repositioning onto the hanging. 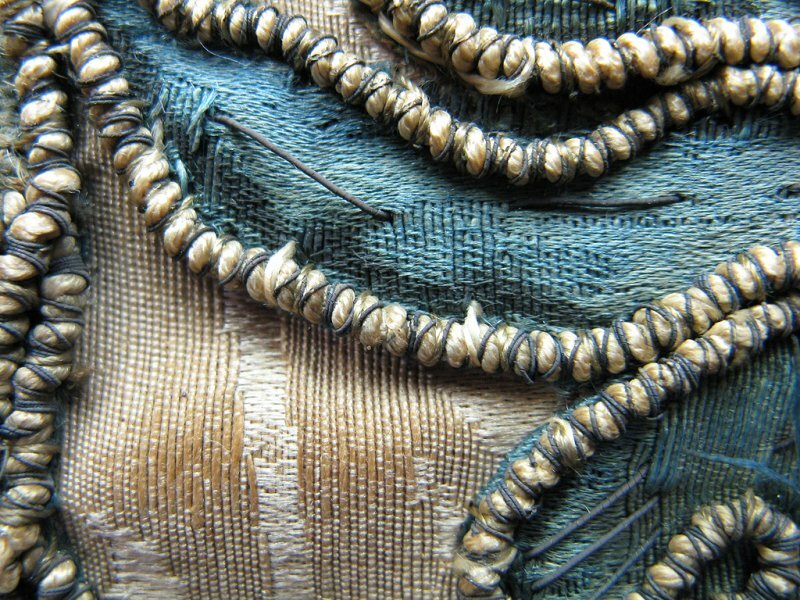 The embroidery was secured by stitching. 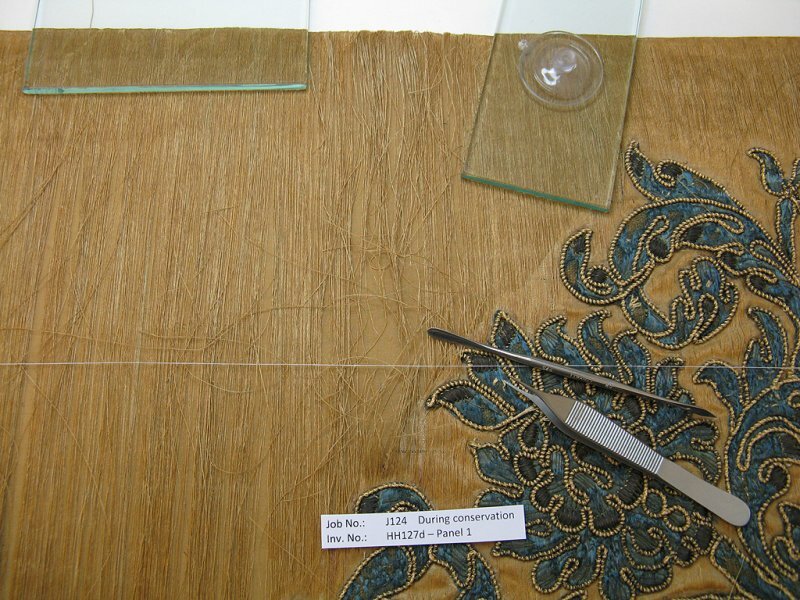 The damaged areas of the velvet were supported onto fine silk by adhesive method, and additionally covered with conservation net, dyed to match. 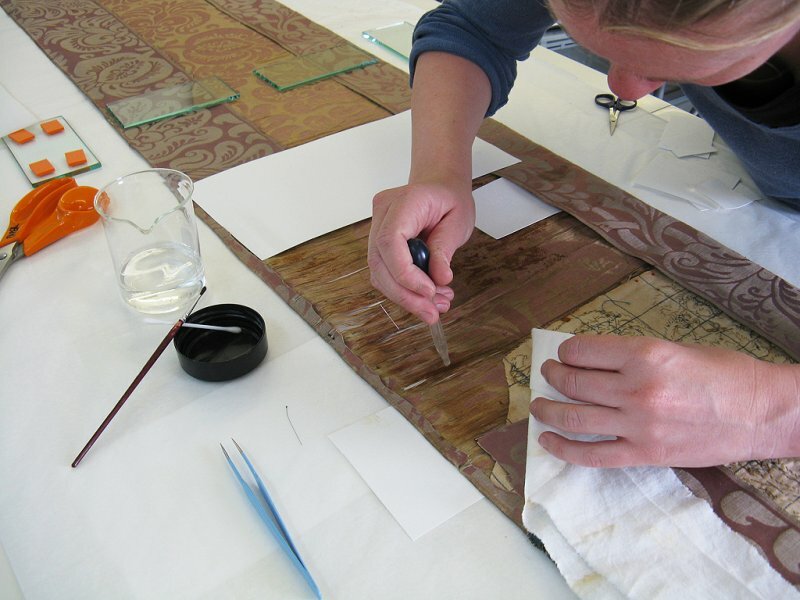 The work included extensive research and articles in various publications, e.g. 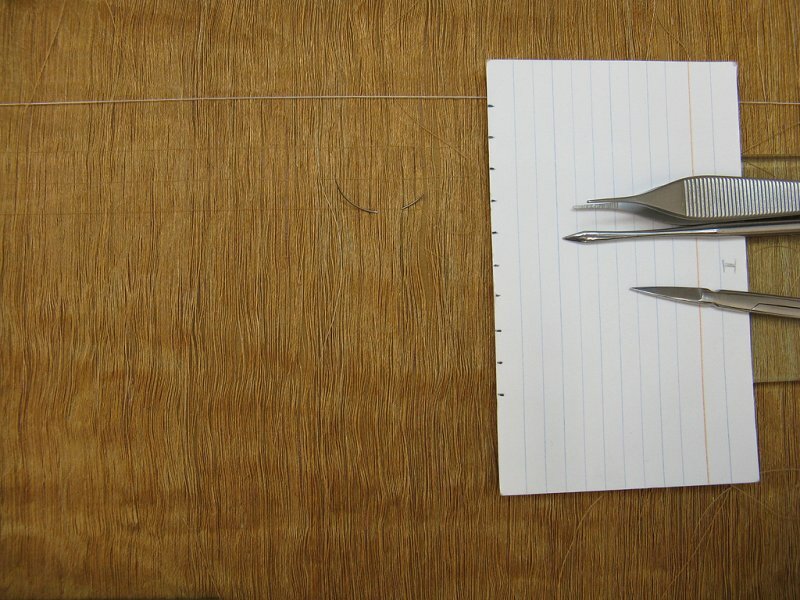 ABC BULLETIN Click to view. 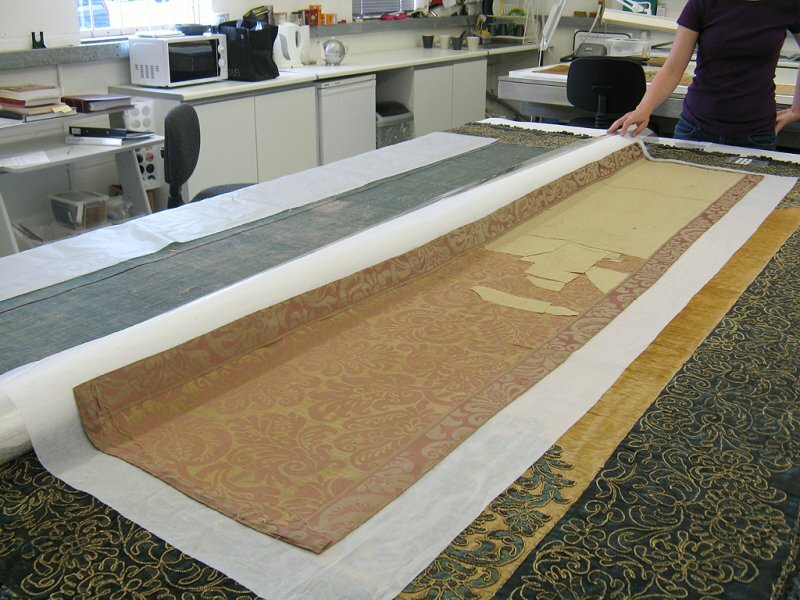 The conservation treatment of final two hangings on the North Wall started in January 2011 and was completed in December 2012. 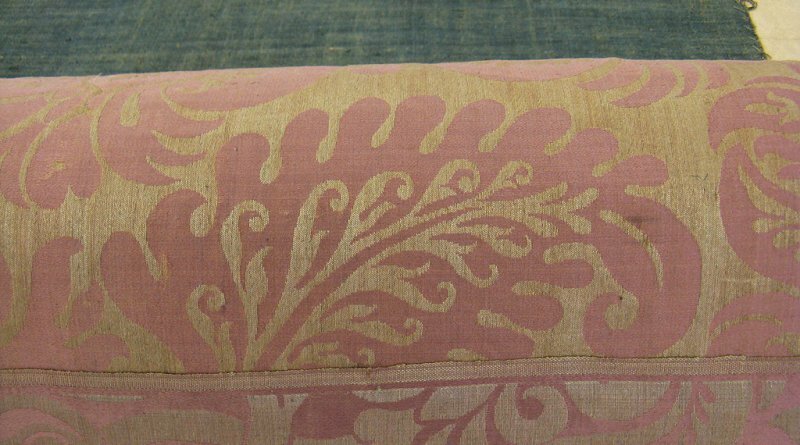 The objects were returned and reinstated in February 2013, and more information can be found here.